CLICKS supports higher education institution by offering a range of capacity building programs addressed to different members universities and colleges within the MENA region and beyond. This includes programs catered at members of governing bodies, senior management holding leadership positions such as Presidents, Vice presidents, Provosts and Deans of Colleges, faculty members and teaching staff, researchers, managers and staff working in QA and Institutional Effectiveness offices and leaders and staff working in student and academic support services. 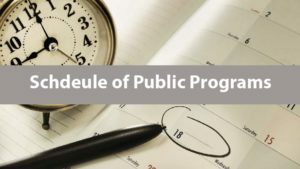 These programs are either offered as public programs announced at the end of each academic year for the consecutive year or are offered ‘in-house’ to specific institutions within or outside the UAE. Public programs are open to participants from any higher education institution and have usually limited capacity based on ‘first come first serve’; this is due to their ‘hand-on’ nature’. 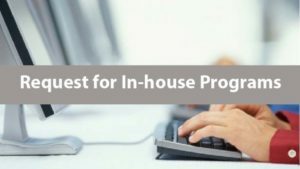 CLICKS also offers throughout the year a large number of ‘in-house’ programs tailored to the specific needs of Higher Education institutions including Universities, Colleges, Ministries of Higher Education and/ or other Higher Education Regulatory bodies. These programs are usually offered in an economical manner to meet the specific needs of the institutions or/and country at dates and locations mutually agreed upon.